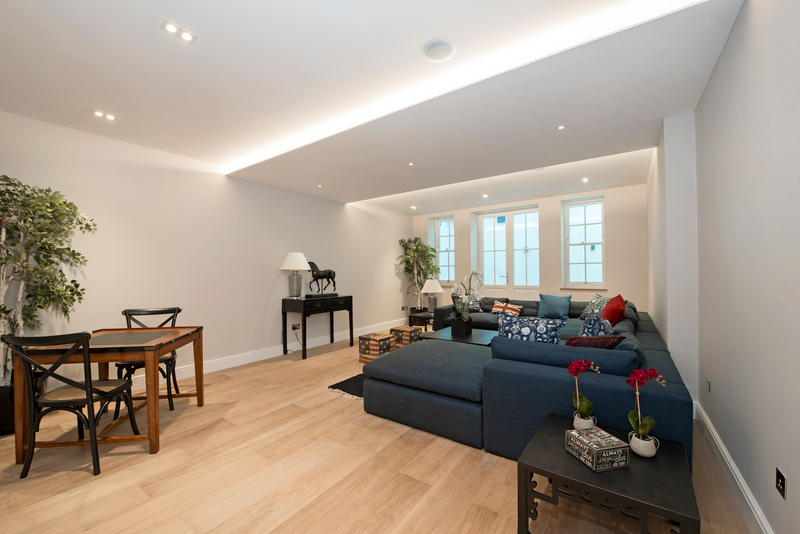 For the main living areas, we laid out light oak flooring and painted walls white, while we also installed lighting in the ceiling. 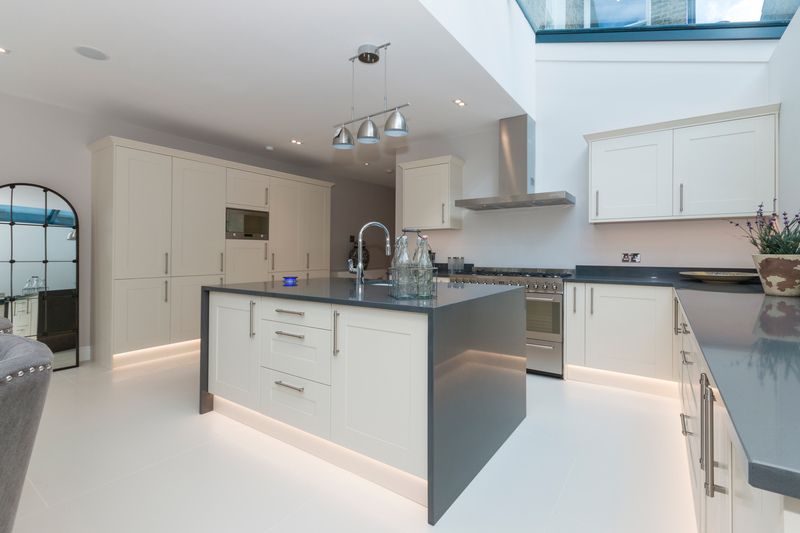 In the kitchen area, we opted for a very modern aesthetic, with white flooring, fittings and teal-blue countertops. 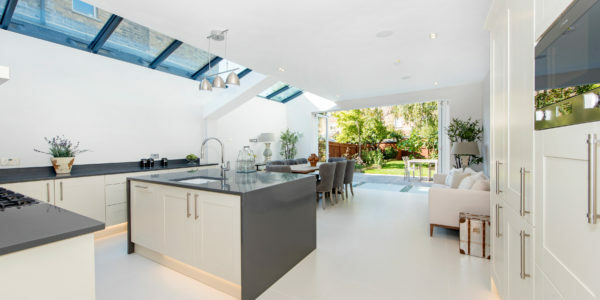 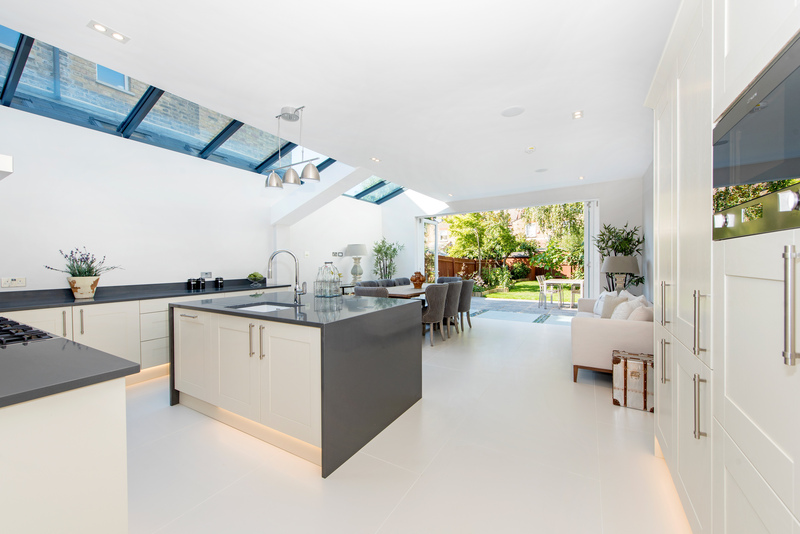 We also installed large skylight windows so that natural light can enter the kitchen during the day. 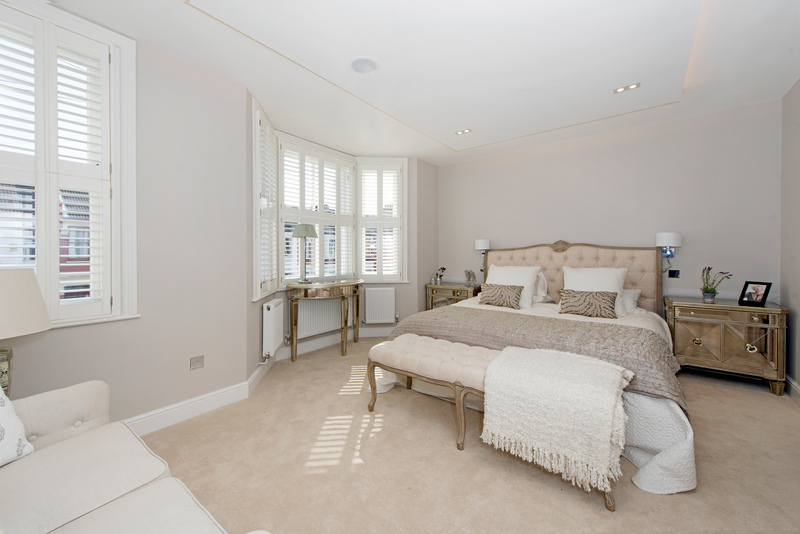 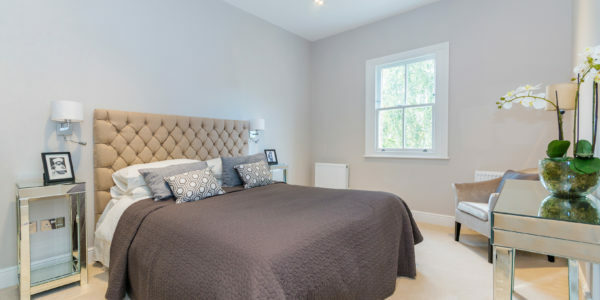 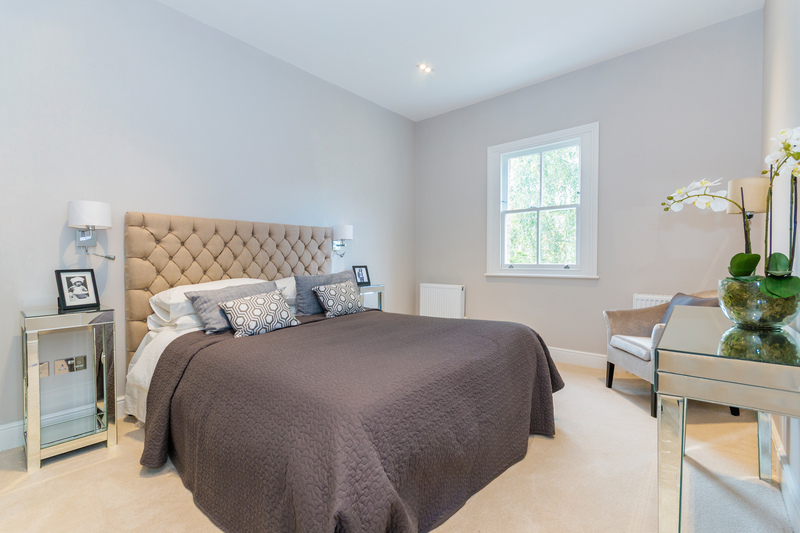 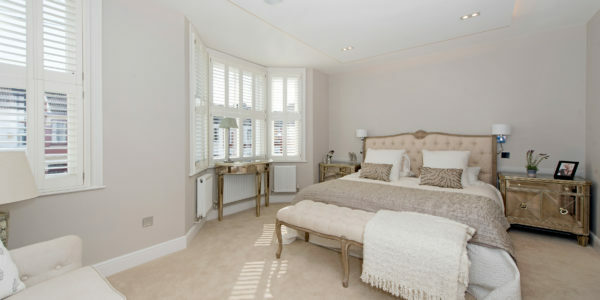 The bedrooms were remodelled in structure to create more space, and our joinery created bespoke windows and doors for each room. 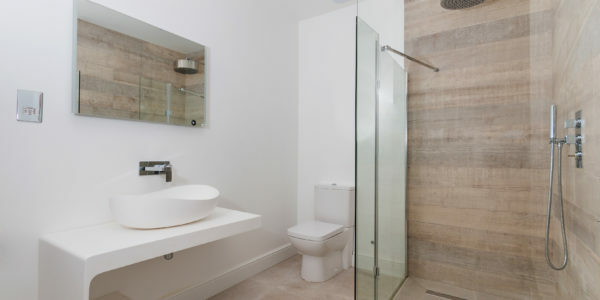 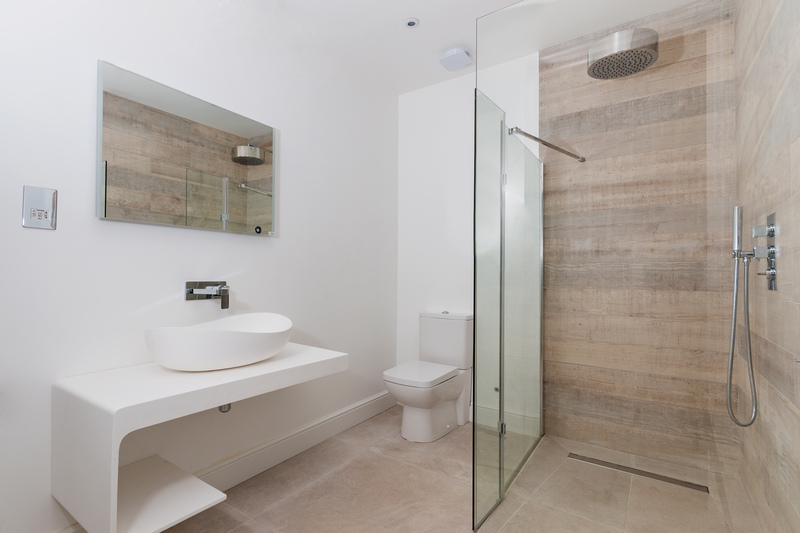 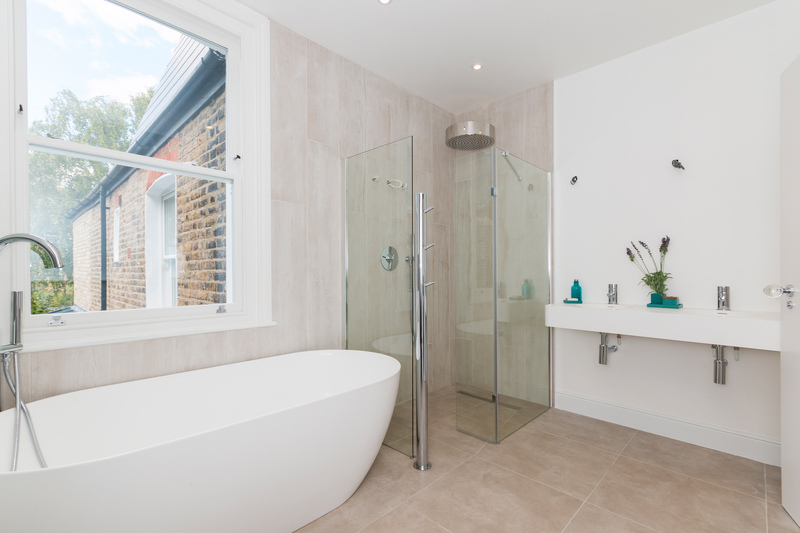 For the bathrooms, we took a simplistic approach, and borrowed Nordic design elements, implementing gorgeous tiles and fitting a glass shower. 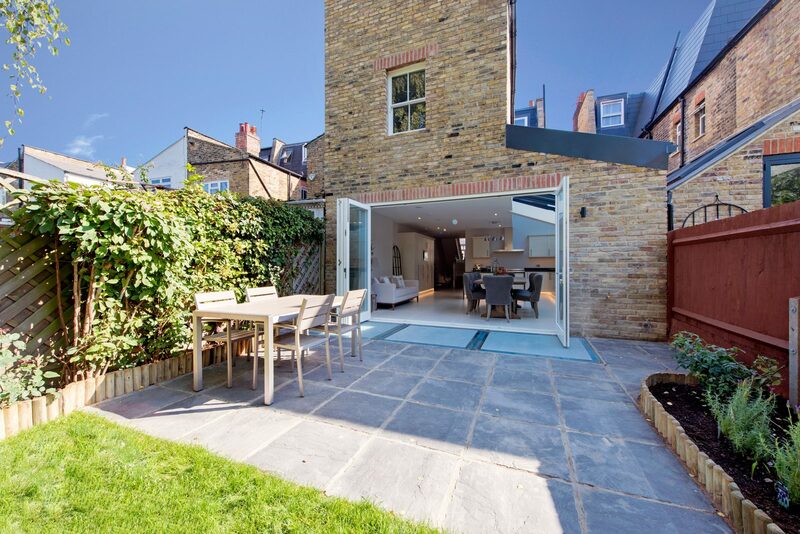 Leading out to the back, we installed glass doors, and created a garden extension to further increase the space of the property, making for a lovely patio area for guests to relax on a warm day. 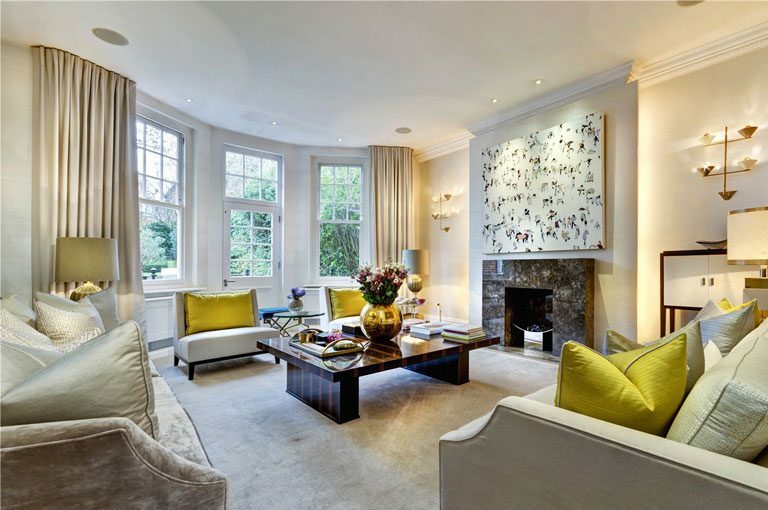 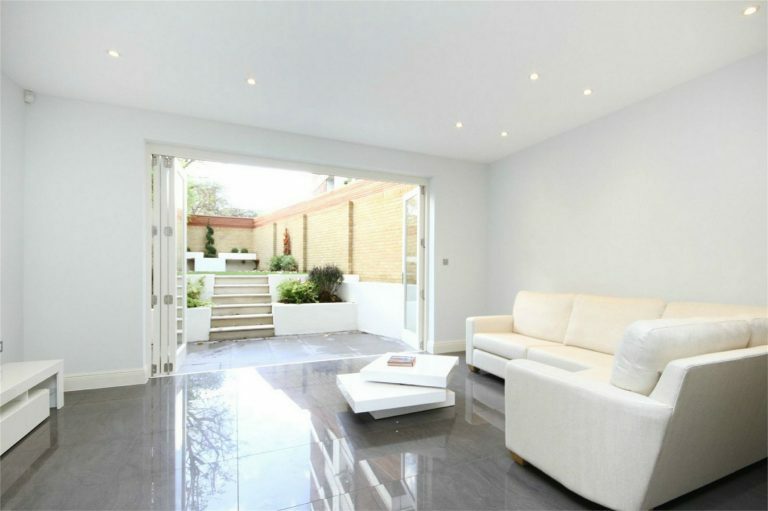 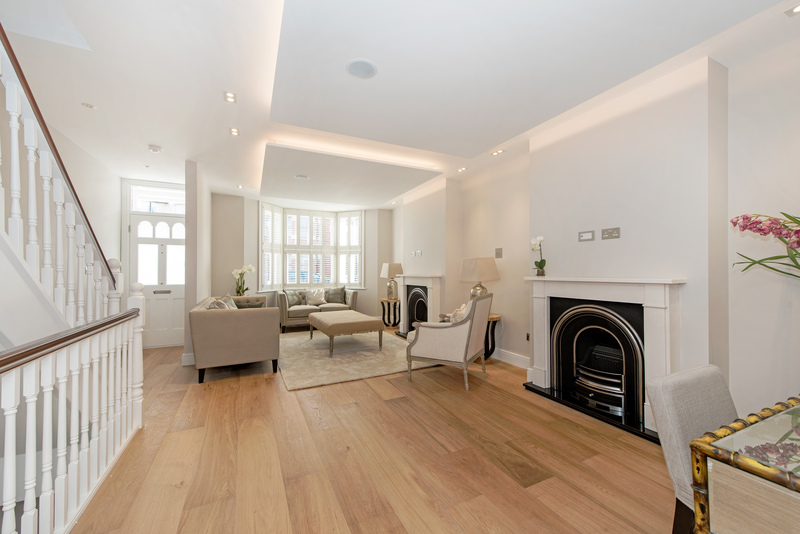 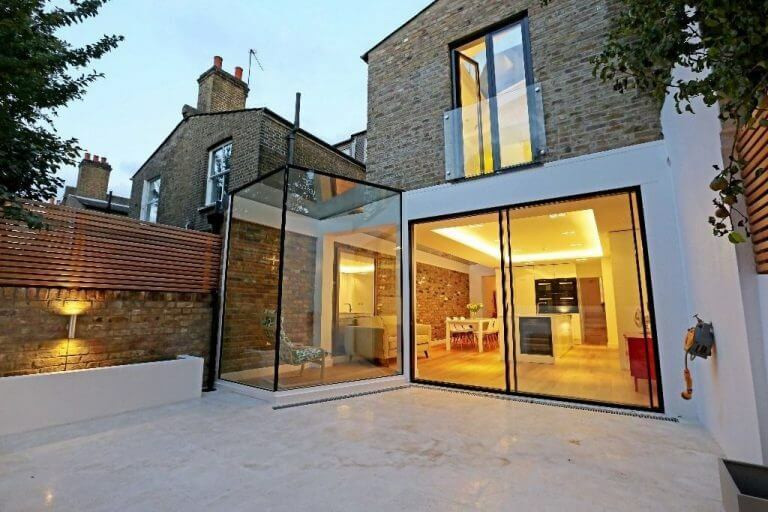 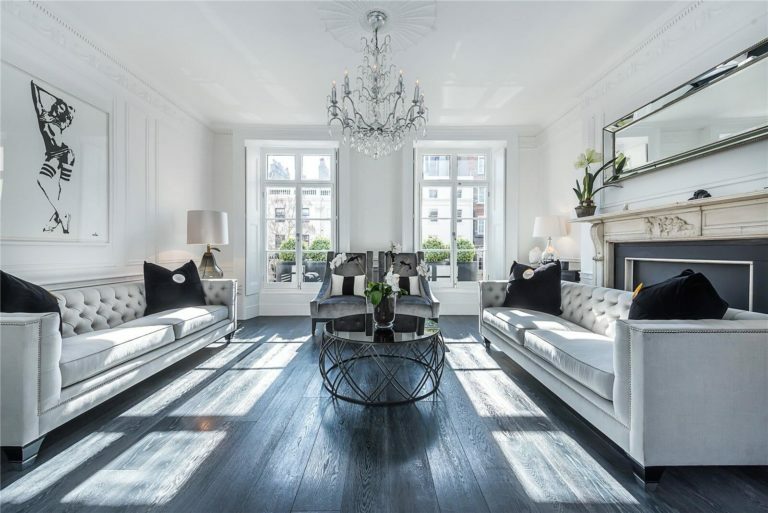 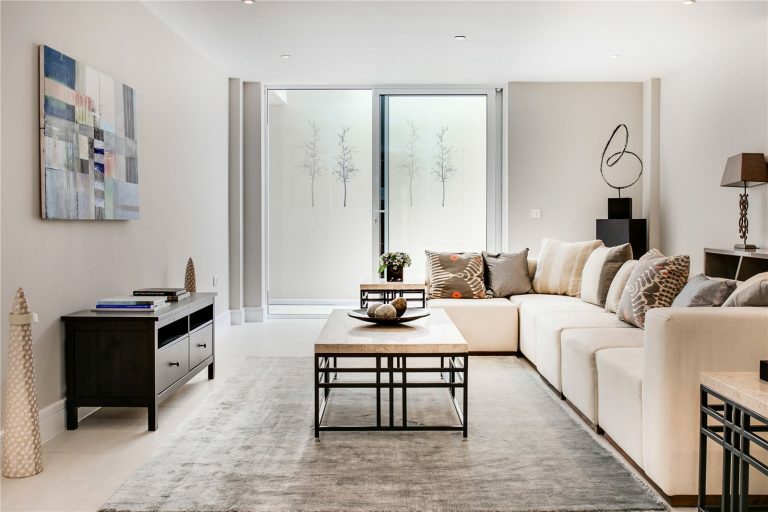 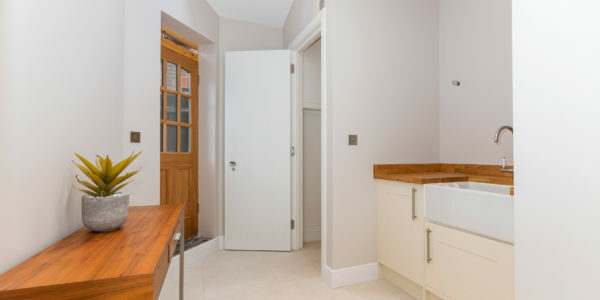 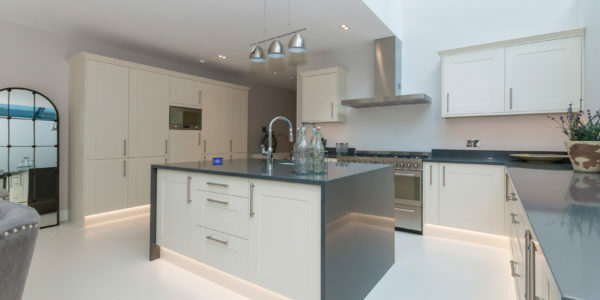 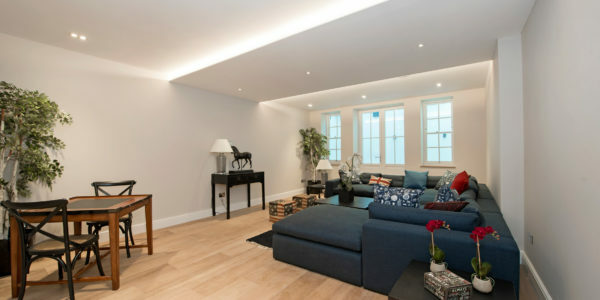 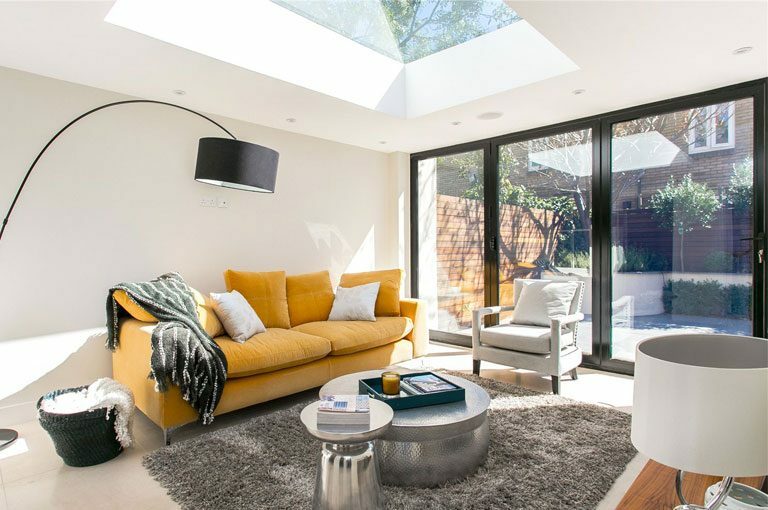 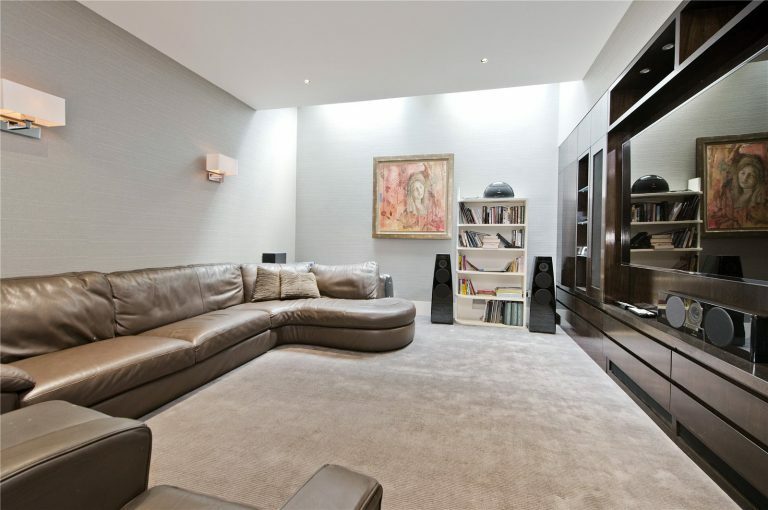 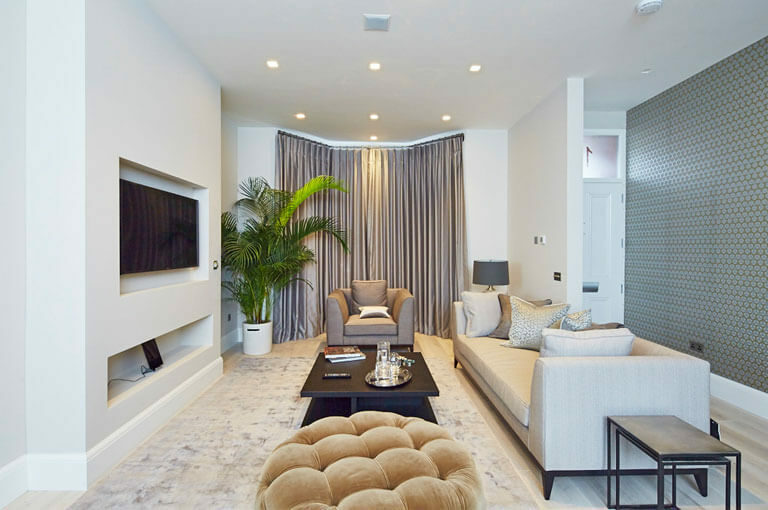 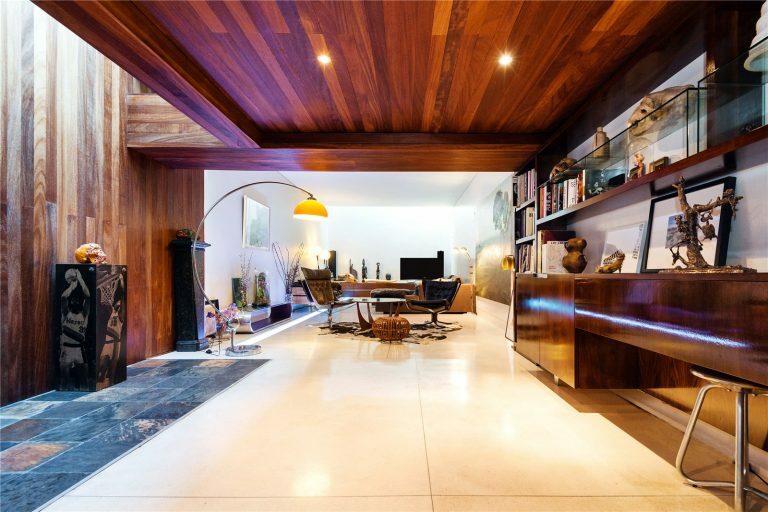 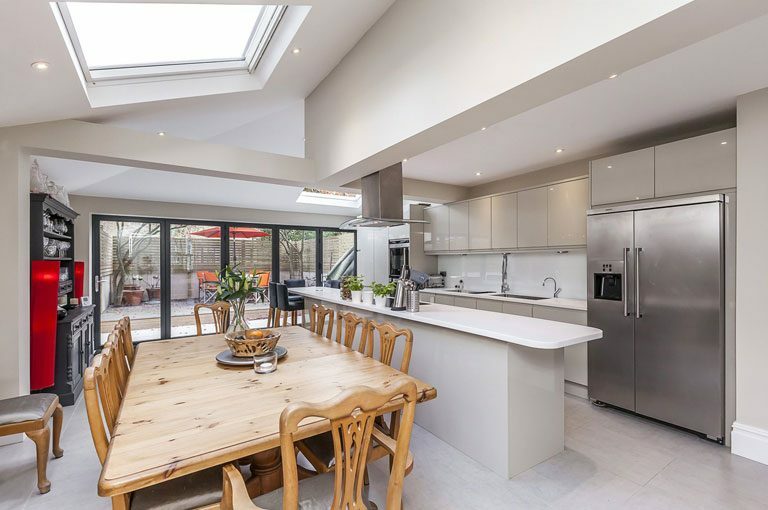 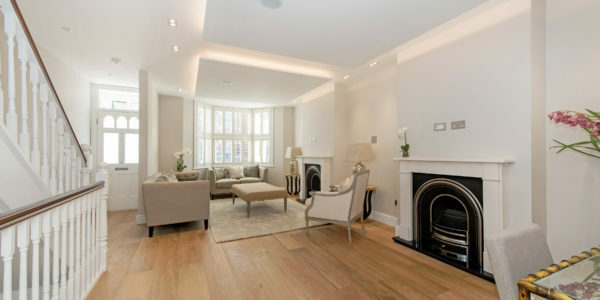 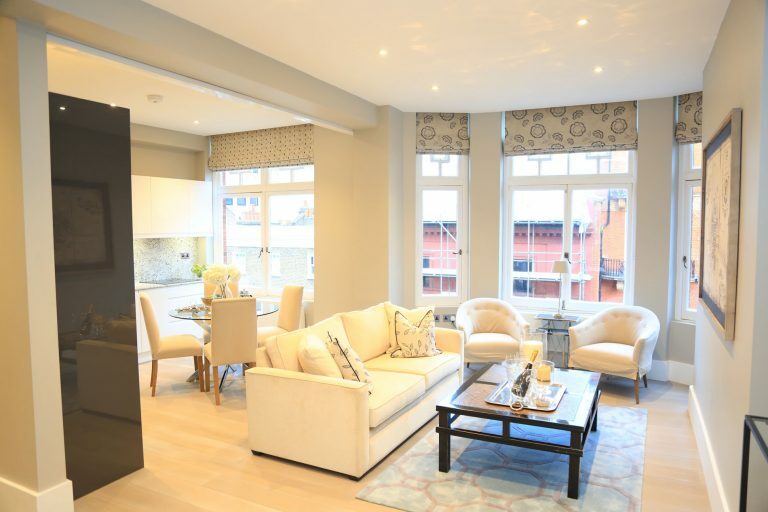 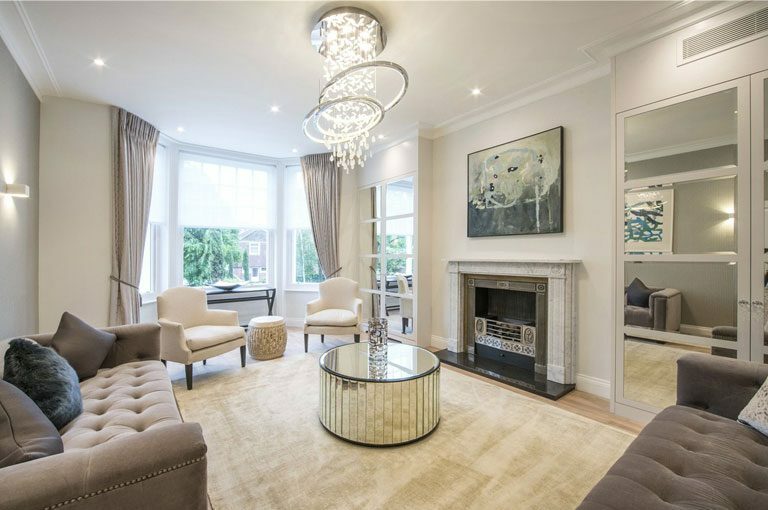 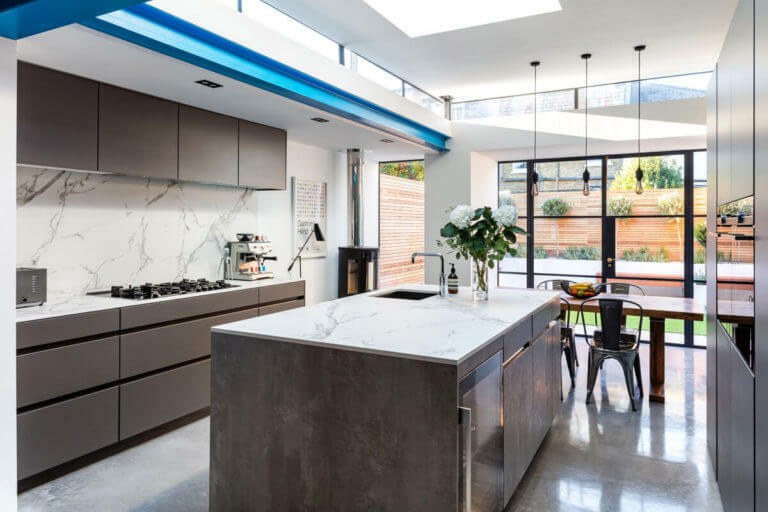 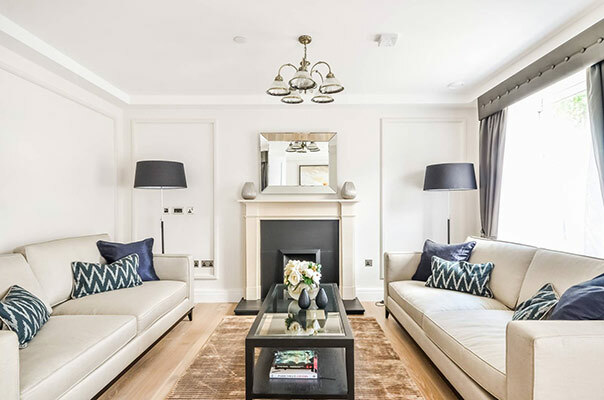 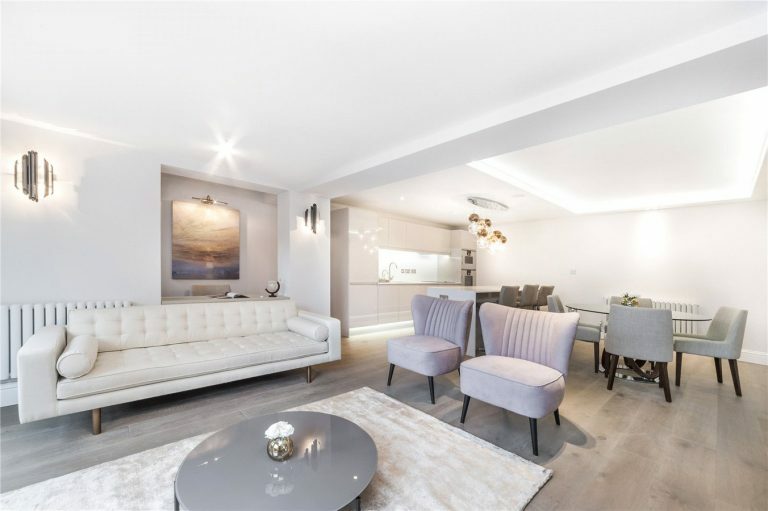 Our client requested that we do a full renovation on their property in Fulham, with a total overhaul in design and décor. 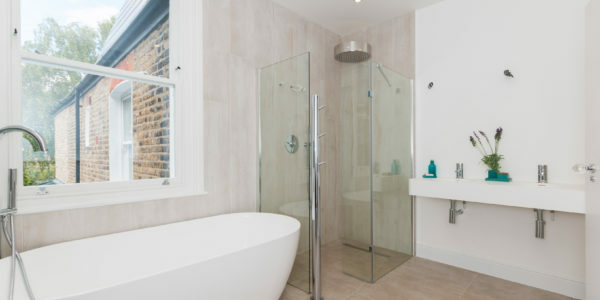 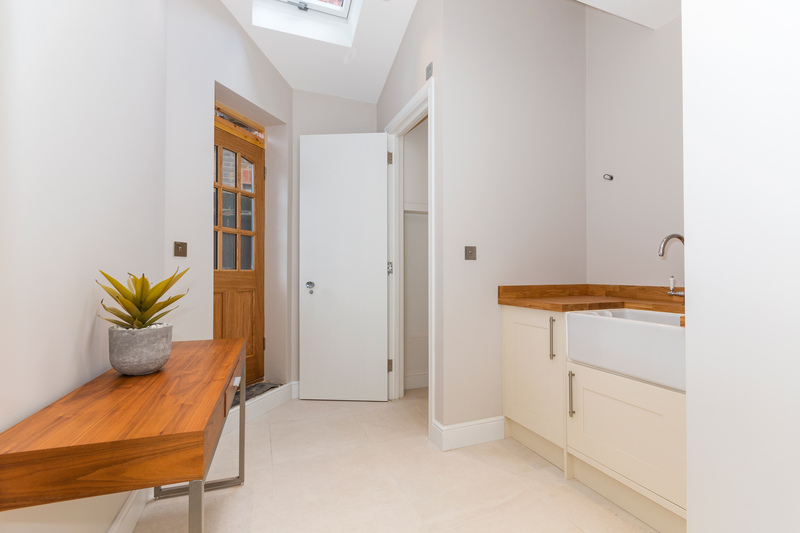 We were asked to revamp the bathroom, the kitchen and to do a loft conversion.